You know the adage: It’s better to give than to receive. For businesses, this couldn’t be truer. More businesses are expected to give corporate holiday gifts this year than in the last six years thanks to a steadily improving economy. Corporate holiday gifts aren’t just a nice gesture – they’re a smart way to strengthen business relationships and get things started on the right foot in the New Year. Just look at the people on your gift list – your employees, customers, business partners. These are your company’s VIPs. These are the people who impact your revenue stream. 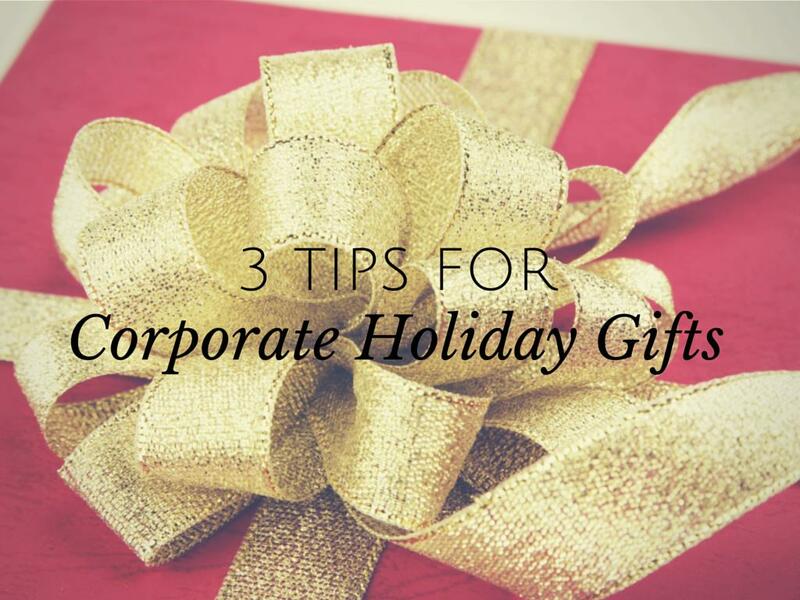 It pays to show them some love during the holidays by giving them carefully selected corporate holiday gifts. If scary visions of bags of money flying out the window are dancing in your head, don’t worry – you don’t have to spend a lot to show your appreciation. In fact, there’s really no hard-and-fast rule at all on how much you should spend on corporate gifts. The most important thing, nearly all experienced gift-giving business owners would agree, is to give useful items that people actually want to receive. Sometimes the best gifts don’t come wrapped up with a bow – they’re ones that can be experienced. Show your employees and clients your appreciation by treating them to a special experience. Maybe it’s a dinner out or a visit to the spa. The idea is to give them something thoughtful that they can kick back and enjoy. 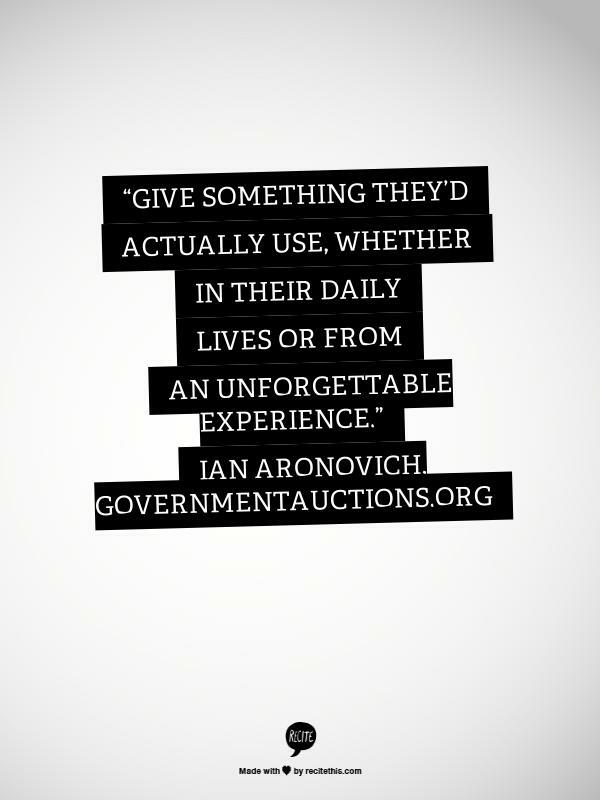 Ian Aronovich, president and co-founder of GovernmentAuctions.org, gives his employees movie passes for three free movies plus discounts on snacks. Aronovich doesn’t give out generic movie passes, though. He gets his company logo stamped on the actual tickets themselves. It turns out many people actually keep their ticket stubs as mementos.So they get to enjoy the experience and have a lasting reminder of your business. That’s the downside to gifting an experience – once it’s over, it’s over. There’s nothing tangible remaining. Your employees have watched the movie. Your clients have enjoyed that fancy dinner out. They don’t have a physical product to keep afterwards. An experience is just that – an experience. But you can elevate it into something more permanent by doing what Aronovich has done. Add your logo to those theater tickets and turn them into mementos of a great night out. Slip a restaurant gift card into a wine glass imprinted with your company logo. When you do this, your business is part of the immediate experience, and your logo sticks around long after the final credits and dessert wine. 2. Useful gifts simply get more use. Everybody loves receiving a gift that fills a need. If they find it helpful, they’ll keep it and use it. And, if your company logo is on the item, they will see your name each time they use it. That’s Katya Constantine’s gift-giving philosophy. For holiday gifts, her company, DigiShopGirl Media, gives external phone batteries customized with the company logo. When you take the time and make the investment to give corporate holiday gifts, you want to make sure the items are well-received. Cell phone-related gifts are ideal since they are used constantly throughout the day. Ninety-one percent of adults have cell phones, according to Pew Research, which means that external phone batteries – also called powerbanks – make incredibly useful gifts. 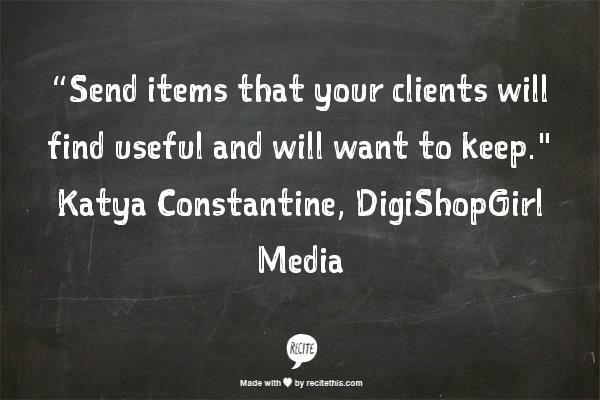 As a result, Constantine’s clients are more likely to hang on to the gift and use it throughout the year. Of course, there’s always the chance that your customers and employees already have that really great gift you’re excited to give. Some of Constantine’s clients may have phone batteries already. That’s okay. Think of your corporate gift like a shiny, new toy. If it’s attractive, functional, and the recipient finds it useful, it has a good shot at replacing the original item. It doesn’t matter if it’s a coffee mug or a phone accessory. People are fascinated with what’s new. It’s just human nature. 3. It’s okay to mix things up. Many companies think they need to have a one-size-fits-all strategy with their gift-giving, but that couldn’t be further from the truth. If you want to delight your customers and employees, have some fun with your corporate holiday gifts. You don’t have to give the same items every year – and you don’t have to give everybody the same gift, either. 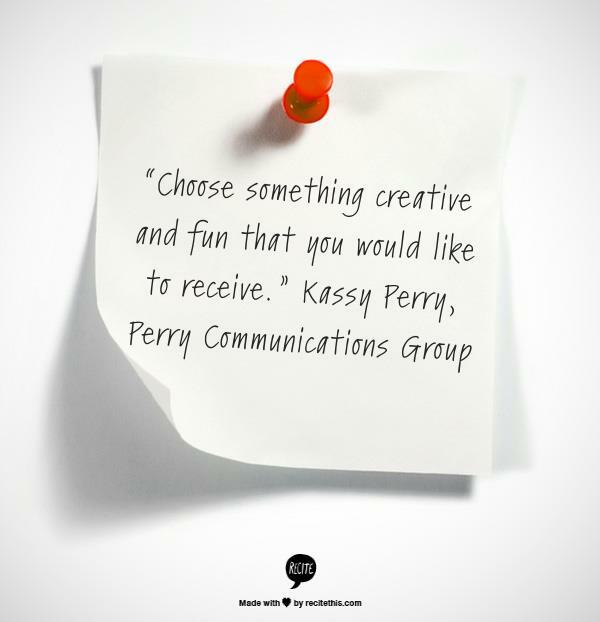 Kassy Perry, president and CEO of Perry Communications Group, gets creative with her holiday gifts by picking out a new theme each year and giving items around that theme. She’s given gifts such as portable grills, car emergency kits, stadium seats, beach towels, and blankets. Her staff gets in on the action, too. Employees get their photo snapped participating in a holiday activity, and the photos go onto the company holiday card. On deck for this year? Cell phone chargers customized with the company logo and website. “Depending on the year, we’ll do a larger, more expensive gift for clients, and a smaller gift for our ‘friends and family.’ These are the people who might not be clients, but help contribute to our success,” she says. When you give corporate holiday gifts, you get more out of it than you might think. You spread some holiday cheer, yes, but you also inspire the loyalty of the people who are most important to your business. The holiday season is a time to show appreciation and to really wow your clients and employees. Give them something special now, and you’re setting the stage for a profitable, successful business relationship in the upcoming year. Here’s where to get the best custom holiday gifts of 2014. Tell us about your strategy for corporate holiday gifts. Leave a comment below this post!